Landing pages serve as storefronts for your websites as well as your web and mobile applications. It’s the bridge that an interested viewer have to cross to become a full-fledged subscriber. Therefore, having a great landing page can drastically change the course of your business as it can turn potentials into leads. That is why we have collected some of the most stylish landing pages running on the Internet nowadays to provide you ideas and inspiration for your web designs. These landing pages are tested and proven to be effective providing the companies they represent success and recognition. So, what are you waiting for? Dig in and get inspired. To start with, we have H.Bloom. Made with some classic typography over an ample amount of white space and adding a final touch of a stunning photographic background, you can’t help but admire this beautiful landing page which definitely entices your audience to fill out the form and hit the “Submit button. The page also comes with a bunch of great conversion elements perfect for any eCommerce website offering beautification services or decorative products. You can never go wrong with a minimalist and clutter-free marketing landing page like Zen Desk. Its generous amount of white space provides the most needed attention to its three very important CTA buttons and fun egg-cracking illustration. There are no other elements to distract your audience, making it an effective way to generate leads or sales as it features a very simple form that only needs a working email address and a password to create an account. 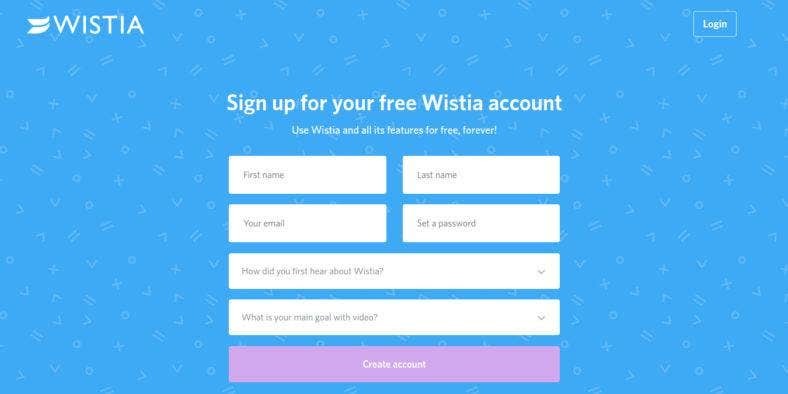 This beautiful landing page for Wistia is characterized by bright white form fields over a subtly-patterned blue background which creates a visually appealing aesthetic. It presents a one-field form with two sections in contrasting colors of blue and white, which allows its users to create an account in the most comfortable and convenient manner making it easier to focus on conversion by giving your potential lead a hassle-free user experience. Conversion Lab is a one-page website which features a single CTA button that once clicked, it moves the whole page or website to make room for the form. It’s an unconventional landing page yet very effective as it provides more space for your content. 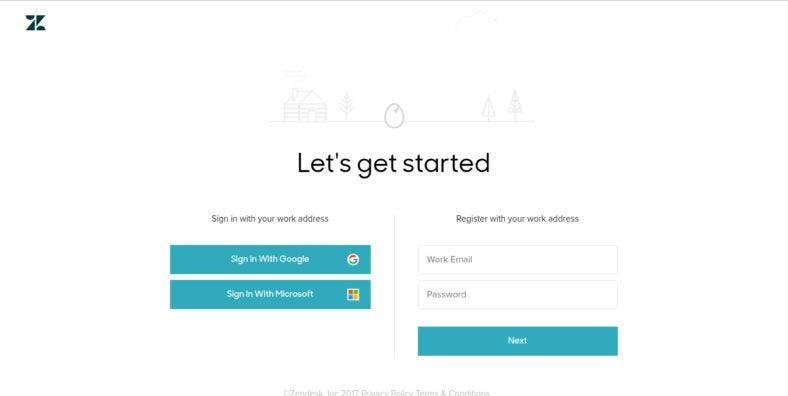 Moreover, this type of landing page allows your users to fill out the form without having to leave the homepage which makes it feel less intrusive for users of your website. Another beautiful landing page that is perfect for eCommerce or personal websites and web apps with the state-of-the-art and trendy aesthetic. Here, it is used as a landing page for a banking website as part of a modern security feature. 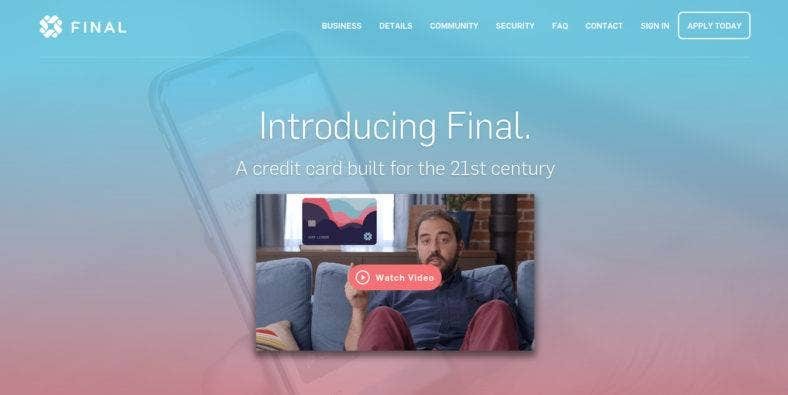 Final has a minimalist and simplistic layout integrated with video as a common approach to introducing your products nowadays, as well as a visible field to enter your visitor’s email address. 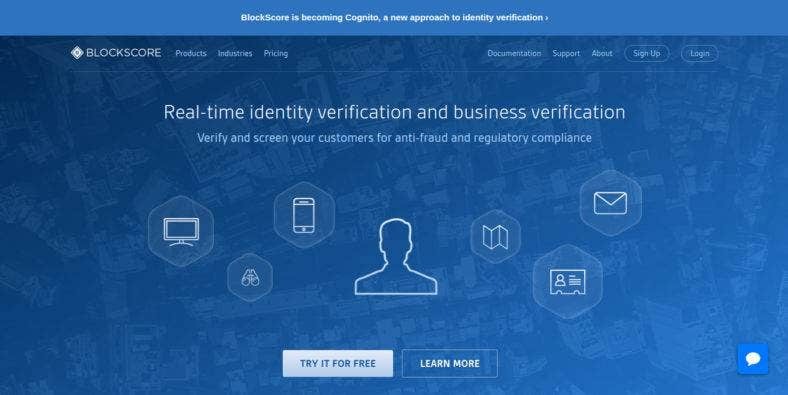 A startup company that analyzes user or business signups for fraud through a complex data algorithm, Blockscore has the perfect landing page just as shown above. The landing page design focuses on discussing each of their products and services through ordered list as you scroll down the page accompanied with an appropriate font icon in the header representing the service. The integration of these icons makes navigation easier and more fun. Another minimal web page design perfect for every web or app landing pages. Svbtle presents a landing page that most designers and creative minds will surely love. Without messing with complexity, its simplicity lets its users focus more on the content making blogging and its other functionalities a more personal experience. Its use of a white space and transparent ghost buttons make this web page appealing and easy to use. Perhaps one of the most popular email marketing tools in the world nowadays, Mailchimp does not shy away from dynamic and eye-catching web design. The landing page design you see above is obviously integrated with the latest web design trends, featuring a one-page parallax layout, an extensive use of white space, and some flat-designed illustrations. This modern landing page design is definitely a must-have on your trendy websites. On the other hand, this landing page presents a rather sleek and polished blue-colored design as it perfectly embodies what the company is all about. 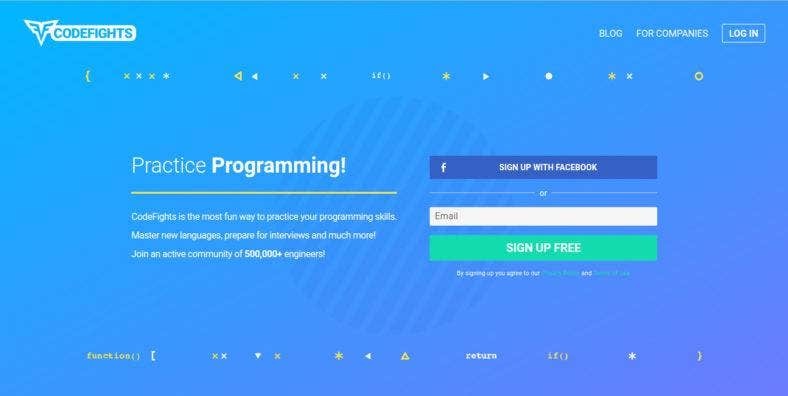 Codefights is a unique platform which helps coders and programmers test their skills in an interactive battle game where they fight based on challenges and recognized based on the rewards they receive. On the landing page, you can see a huge CTA button that encourages people to sign up right away. 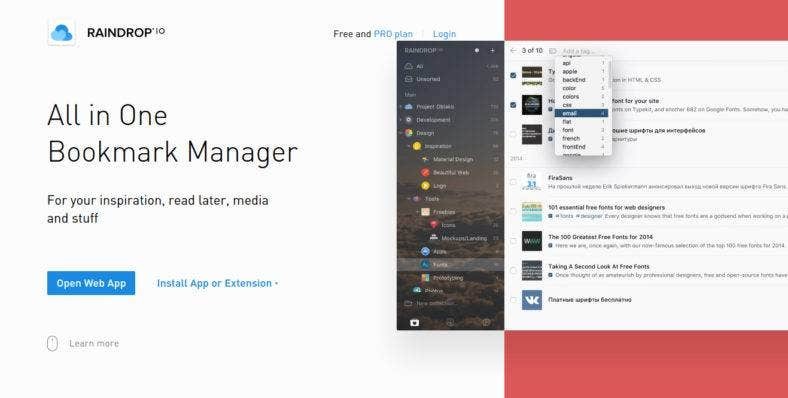 An all-in-one bookmark manager, Raindrop is a web application that enables you to organize your bookmarks whether for inspiration, read later, media, and others. It features a landing page with a single page layout to showcase its attributes one by one while scrolling down the entire page. But most importantly, it features a demo video which shows how the app works in its header making the landing page attractive and the app tempting. Baremetrics also shows a blue-themed landing page, perhaps because blue is charming and at the same time professional-looking hue. 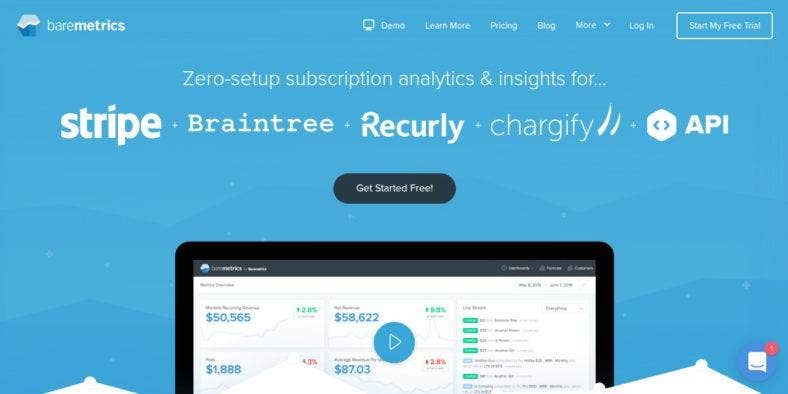 Anyway, Baremetrics is a marketing tool for websites that offer Subscription Analytics and other website metrics. Its landing page present information that will definitely persuade website owners to avail the app’s services, such as testimonials and a list of features complete with links on where to get them. 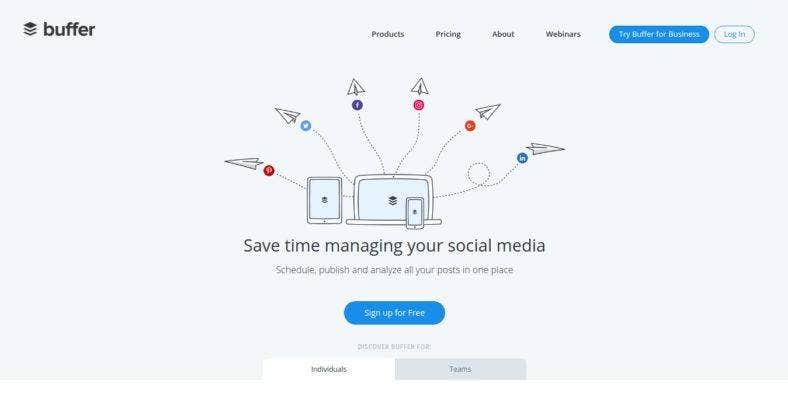 Buffer is a social media marketing tool that allows you to save time while managing your social media accounts. The landing page shown here is an example of a comprehensive as well as an inviting marketing piece that releases a potential subscriber’s doubt from using the app. With a subtly minimal layout and responsive CTA button, it provides a perfect venue to introduce its features and demonstrate its capabilities to clients and users. 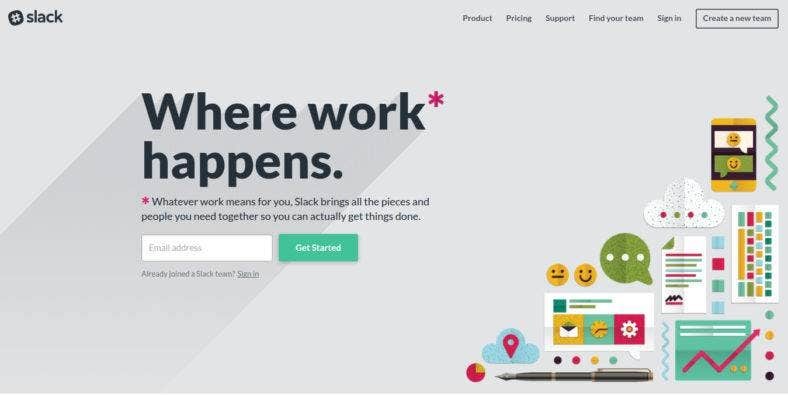 A web application that helps offshore teams coordinate and cooperate, Slack has a simple one-page layout landing page with a modern and trendy look. It features a hard-to-miss email field along with a distinguishable CTA button. Some flat-designed illustrations and a choice of bright colors also provide the page a boost in its visual aesthetic which will definitely help catch the attention of potential users and subscribers. Freelancers and offshore employees need a time-tracking web application to help track their working hours. 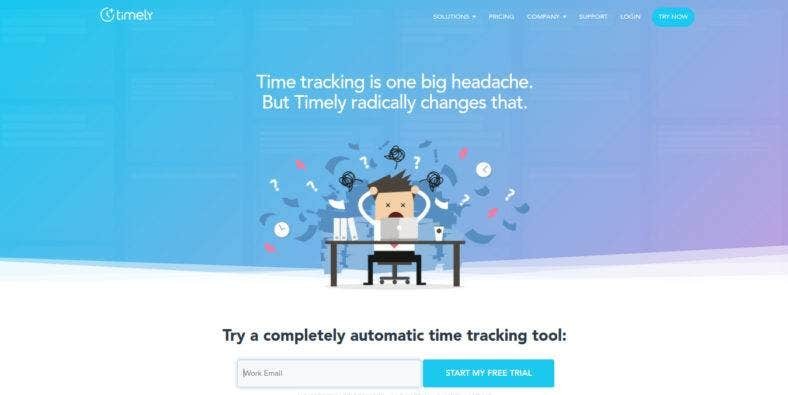 There are many tracking apps out there, but Timely‘s landing page will help you decide which one to download and use. Clocking into this app’s landing page, you will be presented with a beautiful illustration that you sure can relate to over a beautifully colored background. This professional aesthetic makes the app an easy choice among its competitors. 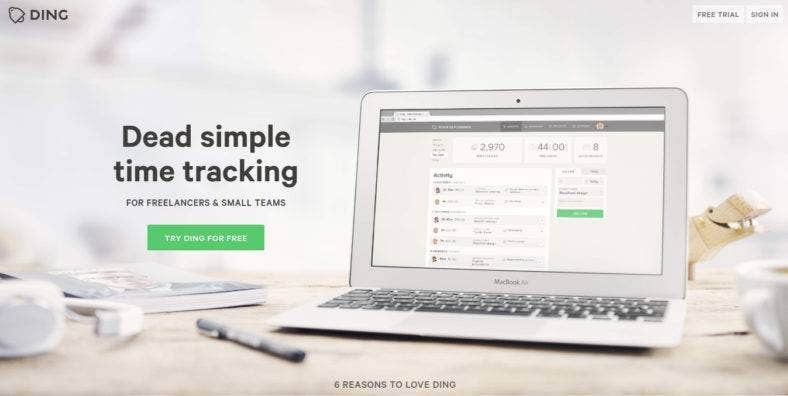 On the contrary, Ding presents a simple design on one-page landing page layout. A full-width image header showing how the app looks on the screen can be a geat way to provide your customers a glimpse of the app. Scrolling down the page, your potential users will be treated with a well-organized list of features and testimonials of previous subscribers. Making sure not to miss this information, the form and CTA button are placed at the bottom of the page. 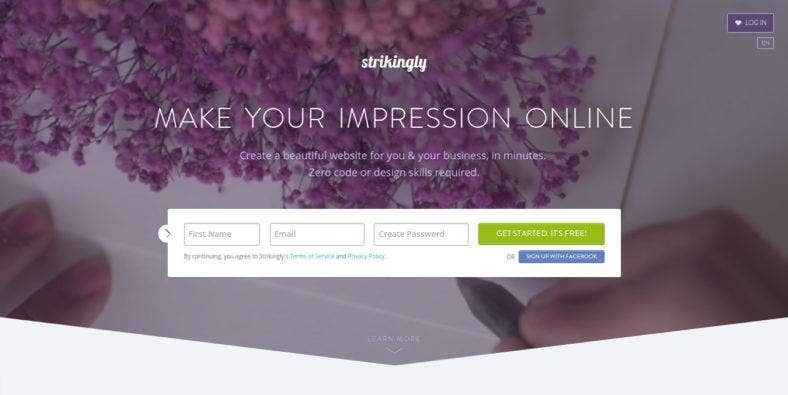 Lastly, is the gorgeous landing page for Strikingly. This is a website template landing page that features a gorgeous video background and a one-page layout presenting its features and endorsements with a continuous scroll down of the page. Just like the above item, its gorgeous form with a striking CTA button is placed at the end of the page to ensure all the information are read before the customer makes his or her decision. Stylish and functional, we hope that you were able to generate fresh ideas and find new inspiration for your website’s as well as your web and mobile app’s landing pages.